DIAMOND CROWN American Series cigar humidors are born of a long heritage that spans well over a century of fine woodworking artistry. Your favorite cigars must be stored under the optimum conditions in order to preserve their outstanding aroma and essential oils as long as possible. To best do this, both the humidity and temperature must remain constant, and the cigars must be protected against light and the intrusion of unwelcome odors. Your fine cigars are an investment and will improve with proper humidity and storage allowing them to age to perfection. The Alexander is wrapped in exotic Black Ebony veneer with detailed accents. 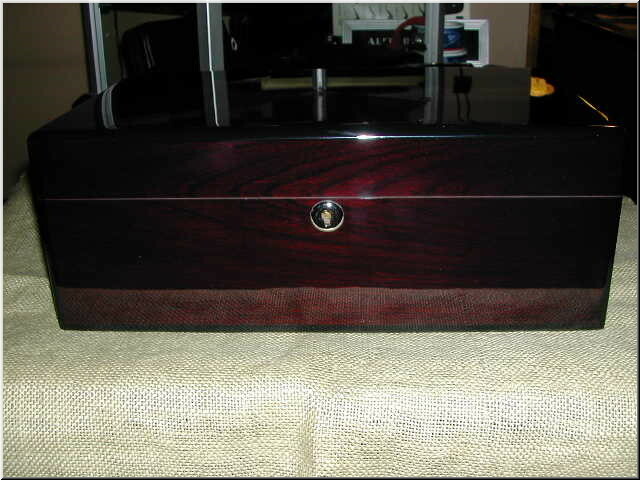 The elegant design of this humidor paired with a luminous high-gloss finish makes it an impressive addition to anyone�s home. Features a custom lock and key system and comes with the Diamond Crown Humidification System and Digital Hygrometer with clean IMAS� attachments. 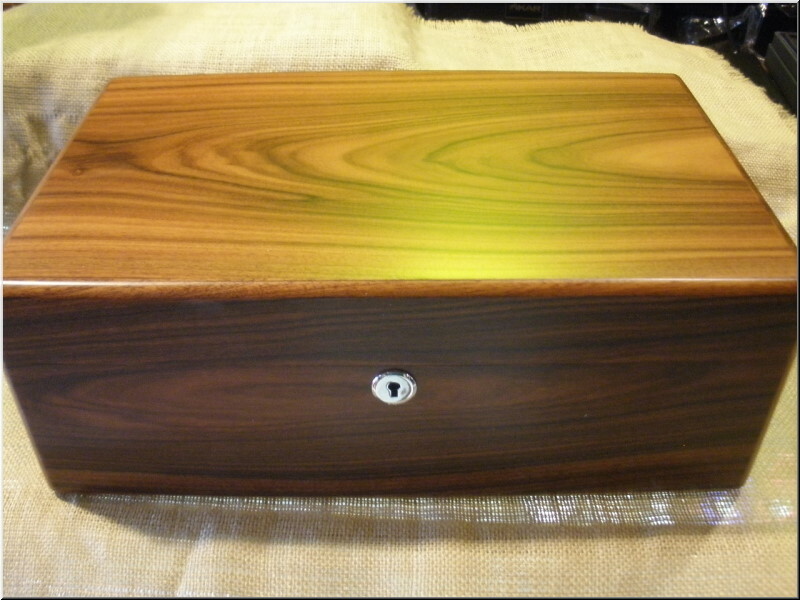 The Drake features a lush Brazilian Rosewood design. Elegant wood grains of this exotic species are enhanced by the soft, supple appearance of the satin finish. 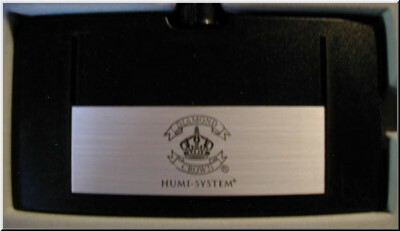 Featuring silver handles, with a custom lock and key, this humidor also features the NEW Diamond Crown Humidification System and NEW Digital Hygrometer with clean IMAS� attachments. 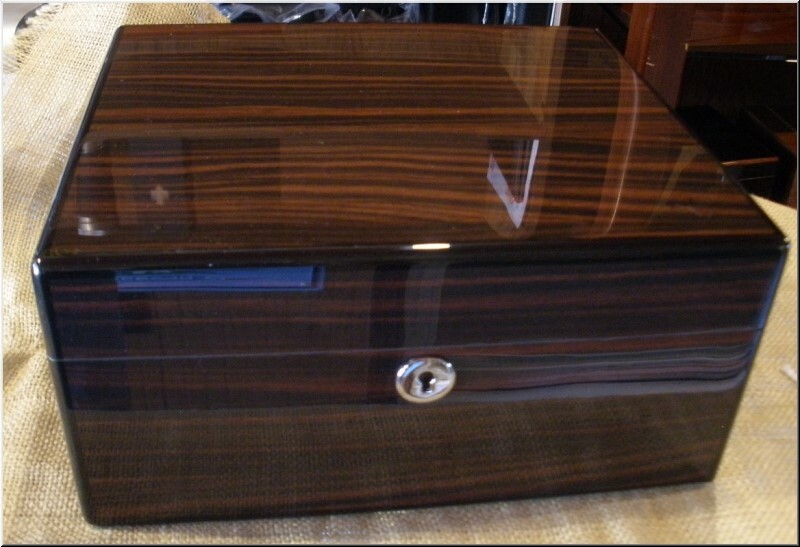 14¼" x 9¾" x 4¼"
The Oxford features an exquisite Brazilian Rosewood high-gloss finish with handsome black accents. 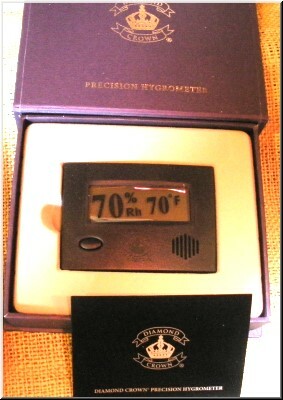 Features a custom lock and key system and comes with the Diamond Crown Humidification System and Digital Hygrometer with clean IMAS� attachments. 14¼" x9¾" x 4¼"